We usually try to get to the UK in October or November to see family before Christmas crazyness kicks in. Driving away from Chamonix in the mist and drizzle didn't actually feel that hard. The Alps are a beautiful place but in the inbetween Autumn and Winter they get a bit manky. Embarking on, what turned out to be a very long journey, we managed to see an awful lot of friends and family which was awesome. Unfortunately I didn't really have the cause to get the camera out, the weather was not great but never horrid, just not very good for photography. However, we did get to go climbing, running and looking at tanks! We spent a morning in Wales, driving away from the sunshine and into the wet and mist and wind seemed a bit silly but there was a family goal which was to walk up Pen y Fan, which we did. Its actually really nice to be out it horrid weather from time to time. I forget sometimes that UK trad climbing is really hard. Also, I have become and bolt clipper living in France so hauling up a waist full of jingling metal was a shock. Climbing in the Peak District on the Gritstone felt pretty alien after climbing mostly Granite and Limestone but we gave it a go. Hard but well protected E1 cracks were pumpy, easier VS run out slabs felt committing and scary, especially being blustered about by a cold northerly wind! We had a go at both and got spat out of the harder ones! We did stumble across the glorious Heaven Crack, an awesome VDiff, which, it turns out, everyone has done and loves! 3* E1 climbing at Millstone Edge. 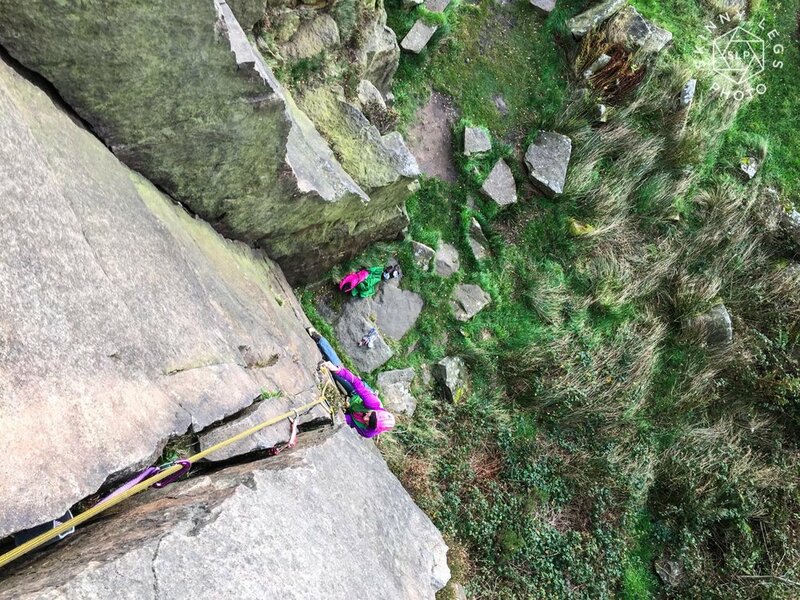 Heaven crack, the best Vdiff at Stanage, and trying to climb roof cracks, Jeepers Creepers a 2* E1 that kept throwing me out, roof cracks with numb hands are hard! Georgie with numb hands on a hard and pretty fisty 3* HVS warm up to Gritstone at Stanage. Georgie on her 'favourite' style of climbing at Millstone Edge. Jogging over the moors is a big contrast from jogging in the alps, its fast, the ups are not so steep and do not last long and the flats keep going, oh and its boggy and slippy and wet, awesome! Hitting the top of the edges and blasting along the tops trying to keep up with Georgie had my lungs burning, well i guess that was my mistake and thats what happens when you run with an ultra marathon runner! She was always keeping and eye and kept in ear shot so she knew i was still alive! Horizons are amazing, nice to take time out from the mountains from time to time. Its such a lovely time to be in the alps. Autumn brings amazing colors, lovely warm soft light and the mountains are a bit quieter. The last few weekends have provided time to get outside, sunny rock climbing in Italy and also up into the high mountains at home in Chamonix. Revisiting old classic routes and looking at ideas for new ones. We had planned to climb Mont Blanc this weekend but the weather decided to change. After a sustained 3 week high pressure system of beautiful stable weather a storm has rolled in. But we did not let this completely ruin the weekend, linking two classic Chamonix easy access routes together to make a fun longer day out just before the rain and snow roll in was great fun - Traverse of Point Lachenal and Arete des Cosmiques. Both a fun easy mixed routes with easy access from the Aiguille du Midi lift. Sanna cruising up a 6a+ accross the mountains in italy, the countryside looked like it was on fire with the Autumnal colour change. We sat in awe drinking tea watching two climbers work a route called Digital Crack, its one of the worlds highest 8a rock climbs, the current hardest grade is 9c, but thats not at 3800m! The summer has taken its toll yet again on the mountains. Sustained high temperatures and little precipitation has leave the glaciers sweating, receding. The lower part of the Tournier spur collapsed last week, leaving the spur 100,000 cubic meters of rock lighter... we are going to need a lot of snow to fill in some of the gaping crevasses. Getting a few more Red Blood Cells never hurts, especially if you are going to do some mad endurance challenge up high. Georgie is doing exactly that. The endurance running race season is on in the alps. 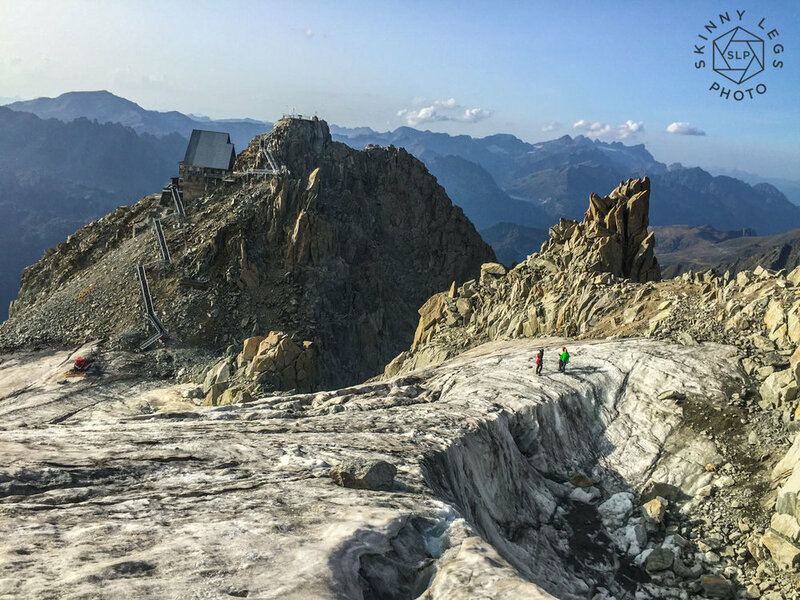 The Marathon weekend has been and gone, the Ultra Trail du Mont Blanc series has just packed up after thousands of runners descended on the Chamonix Valley to test themselves against some of the hardest trail races in the world. The pinnacle race of this series is the UTMB - 168km of distance circumnavigating the Mont Blanc Massif with 10,000m of positive height gain to be completed in 48 hours. Georgie has completed two of the races in the UTMB series; the CCC - Courmayeur, Champex, Chamonix - this is 100km with 6100m of heigh gain. The TDS (twice) - Traces des Ducs de Savoie, starting in Courmayeur and finishing in Chamonix, 119km with 7250m of vertical height gain. Shes not new to these sorts of races and next up for her is the Ultra Tour du Monte Rosa. This is 116km with 8500m of vertical height gain. This is a hard race. Starting in Cervinia in Italy and finishing in Grächen in Switzerland, it spends the majority of its time above 2000m with the some very high cols to go over along the way. Being Acclimatized is going to be the key! She started this race last year in bad shape, she had a massive mountain bike crash 10 days before. Starting the race with stitches in each limb, the left overs of concussion and generally a bit bent out of shape was ideal... She pulled out at 70km in an amazing 4th place, this was a super hard descision as she was doing really well.... Shes got unfinished business with this one! Last week we caught the last lift up the Grands Montets with two friends, Sally and Hannah. This was a good night out for everyone, Sally and Hannah are heading off to Kirghistan next month for a mountaineering course and were keen to do a little glacial practice before they went. 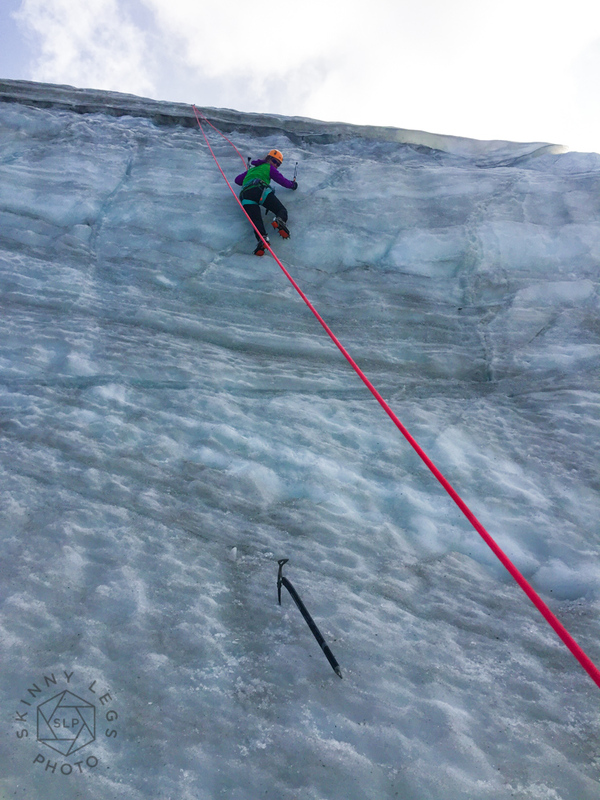 Hannah's first ice climbing expierence. After messing about with a little crampon work and ice climbing on the Glacier des Grands Montets we wandered over the glacier and an awesome bivi spot looking down the Chamonix Valley with the Aiguille verte and Les Dus watching over us. 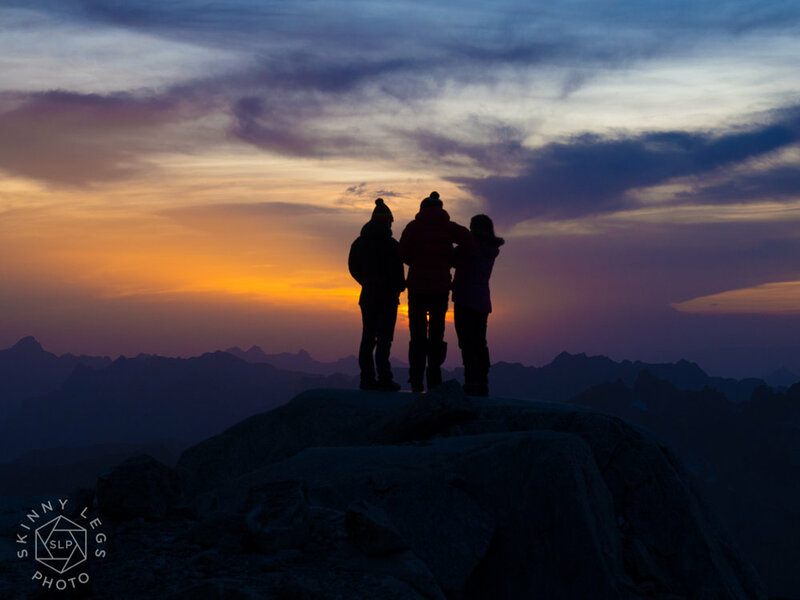 We were sleeping at 3100m, not too high to feel the bad effects of altitude and certainly high enough to do some good. Scarily dry on the Glacier des Grands Montets. It was to be a noise night with rock fall coming, almost constantly, off both the Verte and the Drus, the thundering noise and clouds of dust and sparks in the dark make you feel very small and vulnerable, we had picked a good safe bivi site away from any fall line danger so that helped us sleep soundly. 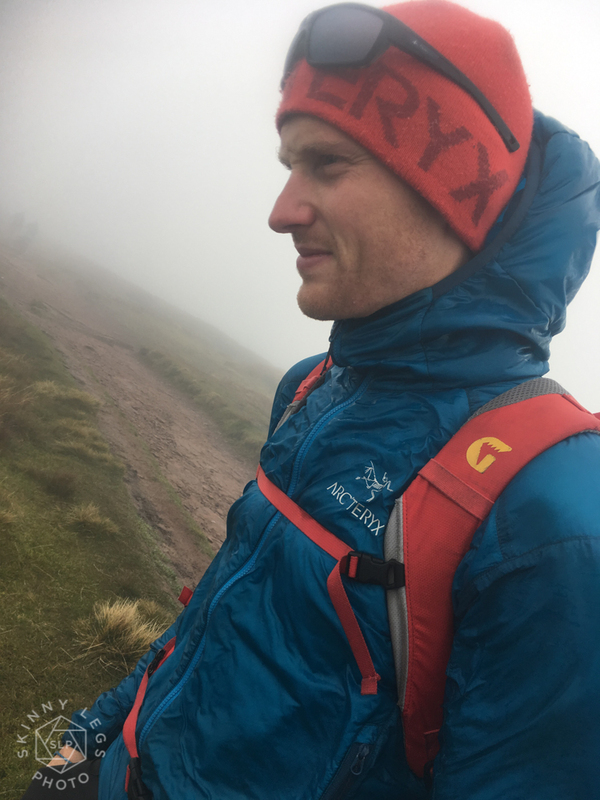 I was chatting with my friend Lindsey the other day, chatting about photography whilst hanging of some ice axes in the pouring rain at one of the local dry tooling venues. Its a funny discipline, dry tooling, using ice axes on the rock with rock shoes on your feet climbing very steep walls. Its an awesome workout and with it being so steep it can be done in the rain! 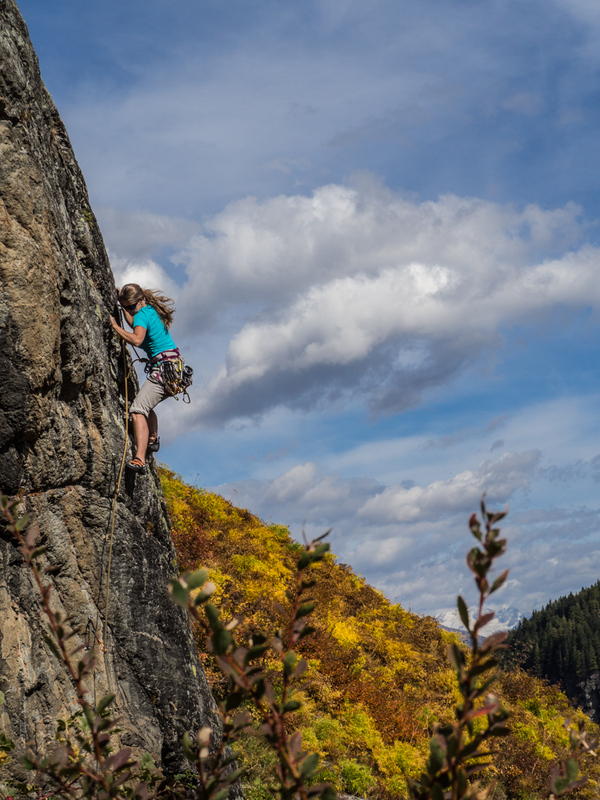 This is how we drytool - Isabelle Santoire cranking up one of the 'easier' routes at the venue. Lindsey is one of these professional photographer types, luckily she is happy to help out with my insesante questions on my mission to get better! I was describing to her the problems I was having with taking night time shots and the amount of image noise I seem to encounter. Noise is the grainy effect you see sometimes on low light level photography's. I shoot with a Mircro Four Thirds camera which is basically a mirrorless DSLR. Being mirrorless it is compact and relatively light. This makes it great a great camera to take into the mountains and still get super shots. It is amazing for super bright, colorful images but having a smaller sensor it struggles in very low light conditions. Because of that it requires the ISO to be bumped up to make the image possible. When shooting photographs with film you choose the ISO or speed of the film, this is basically the size of the light sensitive particals on the film, the bigger the particals the less light is needed to expose the image. The same works in digital. Lindsey lent me one of her professional full frame cameras to use and see if it was easier to take night shots without so much noise. The T-Rex is real, not Photo Shopped in! There are Dinosaur foot prints a short walk from the Emosson Dam in Switzerland so there is a pretty life like looking T-Rex up there, a little creepy in the dark... The Tour de France also rode up the the dam in 2016 so of course they put a yellow bike helmet on his head! This image is a 3.2 second exposure with an aperture of f2 and an ISO of 8000. Taken at 2330 on the 12th August 2017, the day of the Perseid Meteor shower. This image was taken at the Col du Montet showing a reflection of the Milkyway with the Aiguille Verte and Les Drus framed between two trees. The road is the other side of the lake giving a great back lit effect to the trees. Shot with a 20 second exposure at f2 with an ISO of 8000 at 2250 on the 20th August 2017. I was Impressed. Having a full frame camera meant that I could use faster shutter speeds to get less movement of the stars. This instantly makes for clearer images, the camera also allows the ISO to be bumped up with less noise on the images and therefore less editing afterwards. I also had my first go at creating a Milkyway time lapse. It needs a bit of work but looks pretty funky i think. With an afternoon free myself and Sally and the dog went for a wonder to the Col Du Tricot, it had been storming in Chamonix for three days, the rain stopped, the clouds cleared and the mountains looked stunning, pretty good day for photography! Its been quite a long road to recovery, its felt like a long time anyway! The pain got less, the physio got more intense, I started to ski again and climb...gently at first, carefully building up. I managed to ski and climb a few peaks, the Aiguille du Argentiere and the Tour Ronde with Georgie and some friends, both easy peaks but the altitude certainly made itself known after sitting on the sofa for 8 weeks! The ski down from both was also a little terrifying, I really didn't want to fall over! Georgie on the East and Pete on the West summits of Aiguille du Argentiere with me taking the photo from the col that divides the two...3908m! A few Trips to the UK and Spain followed both with a bit of wine drinking and easy climbing, Spain was amazing with stunning back drops to climb in. Last summer I spent a long night in the mountains hunting the Milky Way. I Walked up to the Albert Premier Hut, 1200m of vertical ascent with camera equipment and bivvie gear was pretty warm! I was blown away once the sun had set and gone down, the stars started coming out, there was just so many of them. The longer I stared at the sky the more appeared. As it got darker, there it was, exploding out of the mountains like a shower of sparks. I spent the next 6 hours snapping away... i was super happy with the results. Psyched at what I had managed to capture last summer I decided to try and get some more snaps of the Milky Way, this time I headed up the other side of the valley into the Aiguille Rouge. After a brisk 800m walk up in to the mountains I found the perfect spot to make home for the night and was pretty please with the outcome. The walk down early the next morening was beautiful, the air was crisp and clear and the light delightful. Georgie and I had another day off together as did a few friends. We all fancied a easy day, nothing adventurous, just a fun day out. The snow was naff, the wind was being windy but the sun was shining! Jumping in the car we set off for Contamine, a ski resort down the valley and up past St Gervais. Fabled for great pistes and easy access beautiful ski tours it was the perfect place for a relaxed day out. The off piste was crusty and cruddy so we decided to blast around the rather empty and lovely pistes. It was getting on for lunch time, the legs were telling us this as well. We were on the way up on a lift and noticed that someone had constructed a very very silly shaped snowman! So being childish boys we quested out to find it….I’m not sure why…. probably to kick it over or what ever childish boys do. We were the only people on the piste, the girls had taken a parallel, probably more direct, adjacent piste to lunch so could still see us in our quest. The next thing I really remember was hitting the floor back first. Somehow in all the vastness of a quiet piste we had ended up having a high speed cuddle and were now sliding ski less down the piste. Coming to a stop I knew I had hit the floor hard. The girls said they had looked over, firstly giggling that the silly boys had managed to crash with no one else about but then were a little more concerned that neither of us had gotten up! After sliding head first backwards down the piste I was very unsure what had happened or how many pieces I was in…. I ran a quick systems check: wobble the fingers, they work, arms, toes, ankles and knees….they work, no pain….thats good I thought. I was a little dizzy from hitting my head, thankfully I always wear a helmet. I balled up and rolled over onto my knees…wow, THAT took my breath away…..shouldn’t have balled up….well, I’m here now I thought to myself. I was keen to check that Roeland was in one piece, I shouted up and although he was still down he said he was OK. Relieved, I stayed in my kneeling balled up stance clutching my lower back on the right side. The girls made their way over to us. I slowly got myself up. It hurt but I thought I would be able to ski it off. I was pretty annoyed too, I’d managed to rip a hole in the elbow of my lovely new Arc’teryx jacket! Clicking boots back in to skis brought sharp stabbing pains, very gingerly I skied down to the lift and got on. Getting more and more uncomfortable on the way up I realised that I couldn’t actually lift my leg up from the pegs….manually lifting it with my hands I flopped off the lift at the top letting out the manliest of yelps….it was home time… The wind had gotten up and the middle bubble lift had closed…it was going to be a slow painful ski down…The car journey home and the rest that evening were the two single most painful experiences of my life. The power of Codeine helped me through to the morning. We never found the snowman. An X-ray and CT scan later revealed two broken Transverse Process bones, one on L3 and one on L4 vertebrae on the right side, a herniated disk and break of L5 and another little bit of damage to S1… apparently the herniated disk and L5 break were from having too much fun on some other adventure at some other time… its amazing what you find when you have pictures of your insides! The following months were dull and painful. The gang at the Clinique du Sport in Chamonix have been working their magic hands fixing me up. The forced down time allowed me to go outside on little, lift and car assisted adventures with my Camera so it hasn’t all been wasted time! Miraculously, Georgie and myself had a few days off at the same time. This is a little unheard of. We went on the hunt for good snow. Timing was critical. We were in the midst of a spring like freeze thaw cycle in the days and nights. Timing the descent to make sure the snow was skiable was pretty important. We won on two days! Following the success of the lunchtime snow on the Col de la Terrasse we decided to stick to a south facing sunny ski tour for the next days adventure. Sunny South side slopes were also the safer places to be. We teamed up with Emily and had a leisurely start meeting at the Flegere lift at 10am. Our objective for the day was the Col du Belevedere. Taking the lifts as high as we could we set off, skiing first traversing a wide open bowl. The traverse is often horrid with re frozen snow and can leave you feeling like a vibrating mess after traversing for what seems like an age. Enough people had been across in the days previous to have made a relatively smooth path across for us. It was stonkingly hot and we had stripped down to base layers in no time. We made the col at about 1pm. There was a freezing breeze blasting up from the North face. We didn’t hang about long at the col. The snow was as we had hoped and much like the day before except for a little wind crust at the very top of the first pitch. Exiting back to the Flegere ski area was interesting. Summer skiing conditions at times skiing through Myrtle bushes and jumping over exposed rocks! So the snow came and went….the sun started to shine again. Another high pressure cycle began, bringing beautiful blue skies. The stable weather does give perfect conditions for other passions not just skiing. The night sky had been beautifully clear and the stars were out in force. My friend Howard is also a keen photographer and was after a specific spot in the valley to take photos at night from. I knew the perfect place. We clipped into our skis at about 7pm in the Le Tour car park and set off up the skin track. Already the stars were shining. We had a good feeling we were going to be able to shoot what we wanted to. Trying not to go to fast so we wouldn’t be freezing with sweat once we stopped we slowly skinned up to the mid station. We were excited so that was hard! The snow cannons were blasting out snowy ice crystals with their lights on full beam, looking up as if they were signalling to the stars. Kinda funny as a few days before we had 50cm of real snow! The shape they were casting made for some really cool effects. Stopping briefly to see if we could capture them we snapped away. Suddenly the wind changed direction and it was as if we had been thrust on a north face in the depths of winter. Tonnes of spikey, spiney, cold, spindrifty little biting monsters were being blasting against our faces and down our necks. Time to carry on up! Arriving on the ridge is was clear we had made a good call. Superb, clear views all the way down the valley. Hiding behind a little lonely tree which made a perfect windbreak I donned all my layers. It was cold. Two insulated jackets and a waterproof later I was a good temperature although I was very jealous of Howard’s down trousers. Taking photos of the stars I find is very hit and miss, the first few that I take always seem to be a bit naff. It takes a while to get the right lens, right ISO, shutter speed in fact every setting needs to be perfect to get what you want. However, Once in tune, the results were super. After three hours outside we were pretty nippy and it was time for pizza! Blasting down the freshly pisted pistes with head torches on full beam we were at the car in a matter of minutes! On the 13th and 14th of January it snowed, it snowed quite a lot. We had about 50cm in town. There was excitement in the air. Chamonix on a powder day is always a bit of a bundle, everyone is keen to be up first and get some freshies. Understandable really. Its really good fun! On the 15th I met Pete at the bridge behind my house at 8am. We skated through the woods and were at the lift at 8.10. There was already a queue starting to form. Taking our places we huddle, much like Emperor Penguins do, in the cold for the hour wait we had until they opened the doors. Powder days bring out all the big guns. Not necessarily in terms of the caliber of the skiers but the actual skis. Individual skis that look like a snow board on each foot. Pete had his original 10 year old K2 Pontoons, the first of the big skis. These things are 132mm under foot. That’s enormous. I had my K2 Darksides, these are mere 128mm…still pretty big! You get an awful lot of float when you have planks of that size attached to your feet and the feeling when they are working is marvelous! An holidaying Australian family wondered over to ask a question about what time the lift was going to open. The Gentleman took a look at our skis, then at his piste skis. Chuckled to himself, wished us a good day and wondered off to the ski shop to go and hire some bigger skis.. It was a cold day, a cold windy day. The top lift was on standby, not sure if it would open. In this situation you have choices to make. Very serious choices. Do you queue for an unknown time in the hopes that they will open the lift while the less fussy rip up the powder from the open lifts, or join them and reap the rewards. Meeting up with Alex, Grant, Nick and James, we decided the latter was the best use of time…actually skiing rather than standing in the cold! We chose well. Two stunning runs off the Bochard left us ready for the top. It was 1030. Sliding into the main station we heard that they were going to open. There was one lift of people ahead of us in the queue. There’s enough mountain to go around. Standing in the cold munching on bacon sandwiches the blingyblongy tannoy goes off. A French voice explains that they are just making the last arrangements to open and that it was cold….minus 22ºC ambient and minus 50ºC with windchill. A hesitant high pitch sigh waves through the building. Some folk leave the queue…. We put another jacket on. They were right, it was spankingly cold but the snow was worth it. The wind had had her fun with patches but the more sheltered stuff was deep and predicable. Like flying through clouds, such a good feeling. One magical run down the front face and I was done. I’d had my fill for the day. Also chasing the bigger boys all morning was hard work. I bowed out and skated down the home run to town and was home for tea shortly after.